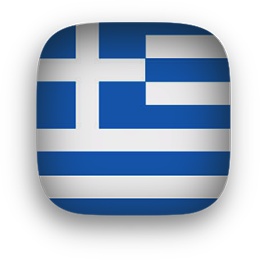 Greece flag animations plus flag clipart. Greek Flag clipart PNG with rounded corners, transparent background and perspective shadows. Greece Flag button PNG round with perspective shadow and transparent background. Greece Flag button JPEG with metal frame. 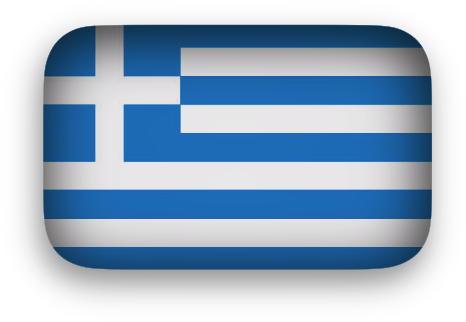 Animated Greece Flag GIF with transparent background. 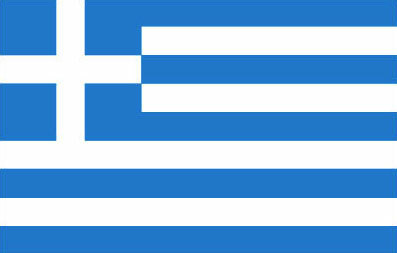 The Greek flag has nine equal horizontal stripes of blue alternating with white. There's a blue square in the upper hoist-side corner with a white cross. The cross symbolizes Greek Orthodoxy, the established religion of the Greece. Greek Flag Clip Art PNG square with transparent background and perspective shadows. Greece Flag - 397 x 253 pixels - JPEG.